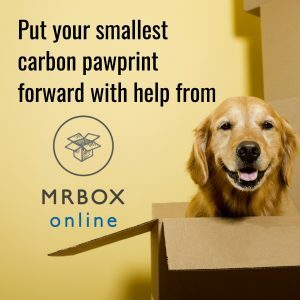 MRBOXonline is a green company Learn More. MrBoxOnline.com will ship same day if the order is received by 3 p.m EST. We do not ship on Saturday, Sunday or holidays. Please allow additional 24 to 48 hours for weekend orders. We ship from 2 distributions points. Our primary shipping location is in Sunrise, Florida USA 33351. Items not in-stock in South Florida will ship from our Elgin warehouse near the city of Chicago. Orders that are in-stock will ship by 3 PM EST via FedEx Ground. If we are out of stock, we will contact you via email with the expected ship date. If your order has multiple pieces, we will ship them and bill you only for the items we ship. As added convenience will you receive an email from our shipping system with tracking number(s) for each package. Whenever possible we will bundle together the items you order into a single package this helps eliminate stray packages. Please don't be concerned if your order arrives in separate shipments. We utilize FedEx Ground for our ground service supplier We work very hard to bring you the lowest rates possible, that's why we offer both services and you decide which offers the best rate or shipping delivery times. We will use your account number for either UPS/FedEx Ground. Please email or contact of office with this information, or enter the account when checking out. We do not ship to PO Boxes. We will utilize the USPS as the 'last mile' through FedEx Ground. Items that are too large for our standard ground carriers will ship via our nationwide truck carrier. Merchandise will be shipped on a pallet to your location. You will be responsible to dispose of pallet(s) after arrival of merchandise. Are you local business in South Florida? If so, we offer free delivery to your commercial business with a minimum of $200.00. We deliver daily into Dade and Broward and most parts of Palm Beach County. We deliver to Wellington, Royal Palm and Loxahatchee every other day. Please inquire when placing an order about these particular areas. Our trucks will not deliver to residential locations. We will make 2 attempts to deliver to your commercial location. If you requested a 3rd attempt, to cover the cost of transportation expenses we will require a $50.00 re-delivery fee. Company and LTL drivers can only deliver to ground floor commercial locations. Free Shipping in the State of Florida to Commercial Businesses! 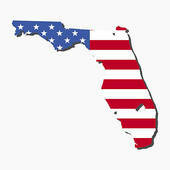 Although we ship nationwide, we're a Florida based company. To show our appreciation to our fellow Floridians, we're proud to offer Free Shipping on orders over $750.00 to commercially zoned locations in the State of Florida. Our Free Shipping program is simple. When your on-line order totals $750 or more, you will be able to choose the Free Shipping option for Florida. Please click this choice and and finish the checkout process It's that simple! This free shipping program is only available to commercially zoned businesses in Florida. Please note that additional services, such inside delivery and the use of the drivers' lift gate is not covered under the free shipping program. 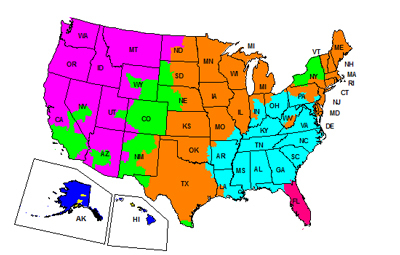 In order to qualify for shipping in Florida, deliveries must be off loaded outside the commercial location at time of delivery. Ground floor deliveries only. We cannot use a passenger/freight elevator to move merchandise above the 1st floor. If you need this special service, please contact customer service and they will be happy to quote you a rate. Residential Delivery via common carrier: Our Florida Free Shipping Program is not available to zoned residential addresses. Sales Tax: We only charge sales tax in the State of Florida. If you feel that your order should ship without sales tax, please submit to our credit department a signed copy of a current Florida Department of Revenue Resale Certificate For Sales Tax, also known as DR-13. This should be done prior to shipment of your order. New interstate laws have changed how e-commerce companies collect sales tax. 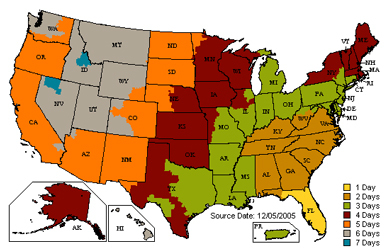 We will abide by all State and/or Federal regulations. Billing/Returns/Cancellation questions? Please contact Joyce at 800-231-8806 ext:106 or email: Joyce@MrBoxOnline.com. Certain items that we transfer from our Elgin, IL warehouse to the southeast warehouse in Sunrise, FL may not be returned. Items that do not appear on this website, MrBoxOnline.com are considered a 'non-stock item' and therefore may not be returned to the company under any circumstances. Note: Customers will be responsible for shipping charges on cancelled orders. Drop Shipments: MRBOXonline will ship your goods with a blind 'ship from' packing slip. No other promotional items will accompany your shipment. Your email address is private and will not be sold to anyone! We make our money by selling packaging material, not by selling private information. Shipments to Military Bases: MRBOXonline will ship to all APO, FPO and Puerto Rico via UPS/Fedex Ground. Larger items will ship via common carrier. Pick up from our warehouse: We have a small pick up minimum of $10.00 at our front counter. Our pick-up service is available from 8:30 a.m. to 11.45 pm and 12:30-4:00 PM Monday-Friday. Please come to the front desk to place your order. No Annoying Magazines: We will not inundate you with oversized catalogs packed with unnecessary items and ideological ideas.You can reach us through our website or by calling our office 954-572-2500. You may return items sold by MrBoxOnline.com within 30 days of delivery. Credit will be issued based on the saleability of the item being returned. Due to fragility of the product, our foam coolers kits cannot be returned. You will pay the shipping charges to return items that were ordered in error. We will pay the return shipping cost if the return is a result of our error. In order to receive proper credit please contact Joyce:954-572-2500 ext:106 or email: Joyce@MrBoxOnline.com. Limitation of Liability: Customer agrees that vendor will not be liable for lost profits, loss of use, or consequential damages of any nature whatsoever. Customer will defend, indemnify and hold harmless vendor against any and all claims, demands, liabilities arising out of or in connection with the design, manufacture, possession or operation of the merchandise being sold hereunder. In the event of any defect in goods or workmanship through fault of vendor or it agents, vendor will, at its option, repair or replace the defective good(s) as customers' sole and exclusive remedy. Warranties: Except as specifically provided above, vendor makes no express or implied warranties, including, but not limited to implied warranties or merchantability and fitness for a particular purpose. Foam Coolers: Due to the properties of this product, we cannot accept returns.. All sales are final. Foam Sheets:Due to the properties of this product, we cannot accept returns.. All sales are final.